May 25, 1925 ~ November 15, 2017 - One of his fondest memories at United Disposal was when he and Millie flew to the East Coast and picked up a garbage truck which they drove back to Oregon. 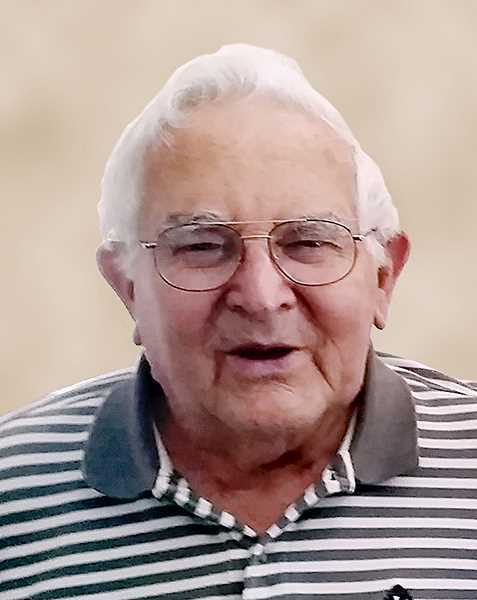 Clarence (Fuzzy) Miller, 92, passed away November 15, 2017, surrounded by family. Born in Seaside, Oregon, he was the son of Lloyd and Roberta Miller. He is survived by his wife of 68 years, Mildred (Millie), son Robert and wife Karen, son Keith and Barbara Smith, daughter Diane and husband Jack McCormick, son William (Buz) and wife Liz. He loved spending time with his 8 grandchildren and 12 great-grandchildren. During World War II he was drafted while in high school and served in the Army as a paratrooper. Following the war he came home to St. Paul and met and married his sweetheart, Mildred Berhorst. He spent 26 years as an auto mechanic, splitting those years between Bernard Chevrolet and Case Automotive. He then worked at United Disposal for 13 years before retiring in 1989. One of his fondest memories at United Disposal was when he and Millie flew to the East Coast and picked up a garbage truck which they drove back to Oregon. It was winter, and they faced many challenges due to the weather, but they were able to see much of the southern United States and enthusiastically shared their experiences with family and friends. Fuzzy and Millie enjoyed taking bus trips to Nevada to the casinos where they met new friends, played the penny slots and took advantage of the many buffets. He loved to hunt and fish and spent many hours with family and friends enjoying the outdoors. He also enjoyed working with wood, making a collection of birdhouses and windmills which he shared with many. A celebration of life will be held by the family following interment at Belle Passe Mausoleum.